Montessori Educator, Christina Clemer shares five tips on how to enjoy art the Montessori way… i.e. letting go of Pinterest and embrace the mess! Art is an important part of the Montessori classroom, but it looks a little different than art in traditional schools. It is much more focused on the creative process than a cute result. This can sometimes be disappointing to parents – who doesn’t love an adorable holiday craft? But if you’d like to encourage your child’s creative expression, give these Montessori tips a try! For Montessori tots, there isn’t a separate art teacher or designated art time. A child may choose to work on art at any time, just like math or language. Things like clay work, painting, collage, and drawing are often available on the shelf. To try this at home, display some art supplies that your child knows how to use where he can reach them any time. Like everything else in a Montessori classroom, the art shelf is prepared so the child can complete the entire process himself. This includes gathering the materials, creating his masterpiece, and cleaning up. As long as the child is being appropriate (i.e., not painting the walls or mashing clay into the carpet), it’s important not to interfere with his process, even if he’s making a mess. Messes are great chances for children to learn the process of cleaning up. Whenever you get new art supplies, show your child how to clean up when he’s done – for example, how to wash the paintbrushes, hang his picture to dry, and rinse his water cup. Let him know that cleaning up is part of art work. You will not hear a Montessori teacher telling a child that his art work is beautiful. This is because we want to encourage children to create art for themselves, rather than making things to please us. Instead, when a child shows us his art work, we comment on his process and ask him questions. If a little boy brings me a picture of his family, I might say: “You concentrated for a long time on that picture. Would you like to tell me about it?” This keeps the emphasis on his own judgement of his work, rather than mine. In Montessori art, there is generally no “end result” the child is aiming for. He is not asked to paint an apple in fall and a butterfly in spring, he is simply left to find inspiration around him and paint what he wishes. Giving a child a specific example to work from, like a cute picture of a snowman, can be discouraging if he doesn’t feel like his is as good. It also takes away a chance for him to use his creativity. Montessori classrooms often offer artistic inspiration, rather than specific direction on what a child’s art should look like. This inspiration might include prints of famous paintings in the art area or reading a book about a certain type of art. If letting go of the mess is hard for you, you’ll love these! 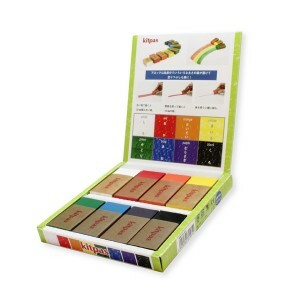 Kitpas’ eco-friendly and water-soluble coloring block crayons enable tots to draw on paper, glass windows and whiteboards, making craft time or party decorating extra fun. Once complete, simply use a wet cloth to erase the drawings. You can even use them as watercolors! Another great craft product from Kitpas for those who don’t like mess! 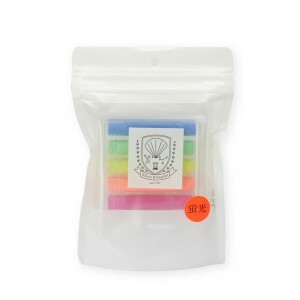 Try taking art time outside with this dustless chalk! 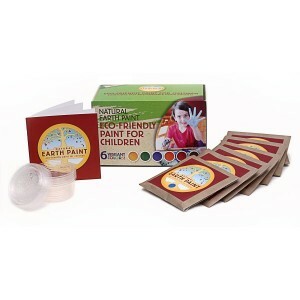 Painting is a great art activity for children and these paints are 100% non-toxic, biodegradable and vegan, making them totally safe for budding artists. 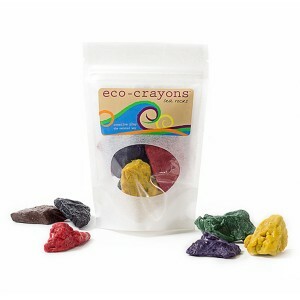 Designed to emulate sea rocks from the beautiful Maine coast, these earthy-colored crayons are made with natural wax and mineral pigments and are a wonderful first material for younger kids to experiment with as they’re easy to hold. 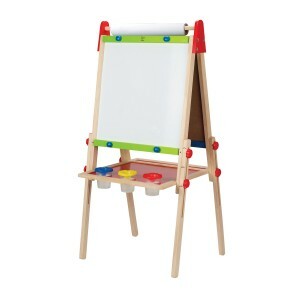 Having an easel helps designate a specific art area so that you don’t find art supplies all over the house. 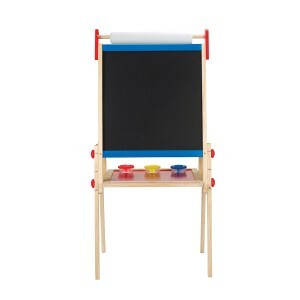 This specific one is great because it has a paper roll up top and a tray for the paints, helping kids to stay organized. Encourage your child’s creativity by setting him up to work with these beautiful materials independently and watch your tot turn into a little Monet.